Night of the Living Ecdysiasts on December 22nd! Much talk has gone around about how thing will end. The planets come into alignment. Haley's Comet makes it's once every 75 year visit. And there were zombies because of it. Oh wait. That was that movie in 1984, wasn't it? Oh well, daddy would've gotten us uzis. There is that total global blackout that Nasa's predicting. That is so it, right? The magnetic poles of the planet will shift. The dwarf planet of Nibiru could collide with the Earth. Nah, those are aren't it. The zombie apocalypse is coming on December 21st, 2012. On December 22nd, we're going to celebrate our survival the best way possible: By eating the flesh of the living! And taking our clothes off to help the victims of frankenstorm Sandy have a better new year. 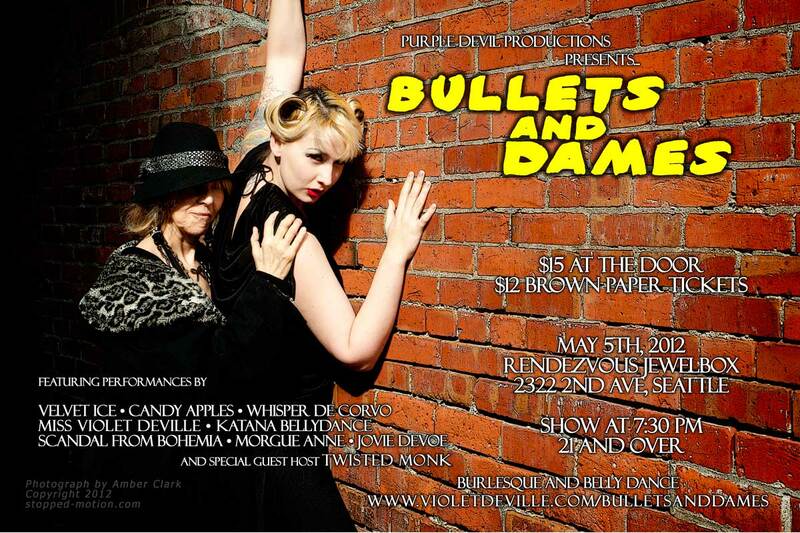 A night electro swing, burlesque, and dancing for you! 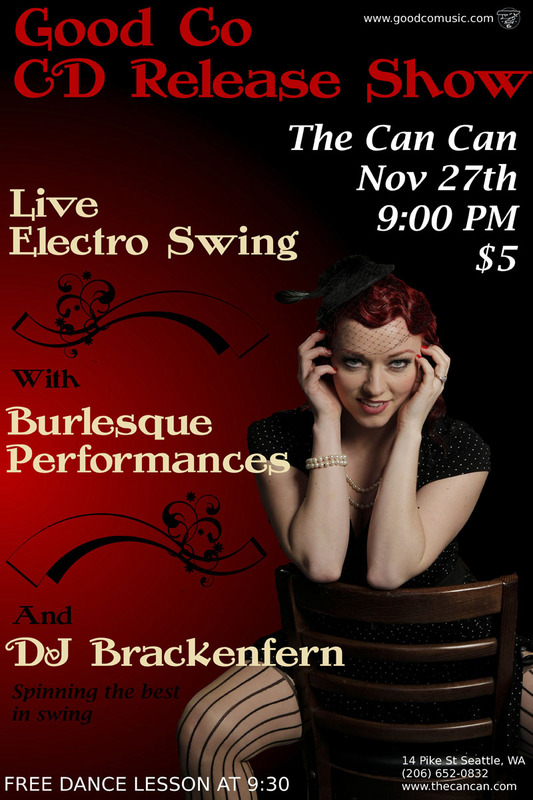 The good folks at Good Co Music are having a CD release party for their debut release, Electro Swing for the Masses on November 27th at the Can Can in Pike Place Market. Sure, the disc came out a couple of months ago but why should that stop us from a good party with swinging beats? You might be asking yourself, "Just what is electro swing music anyway?" Imagine if you took the music of Cab Calloway, Glenn Miller, and Benny Goodman and applied house music style production techniques of looping, syncing, and samples for a start. If it's still not a clear answer, give Zebra Donkey a listen. This party is just $5. The doors open at 9:00pm for open dancing with a free swing dance lesson at 9:30 pm. The band comes on stage at 10:00 pm. 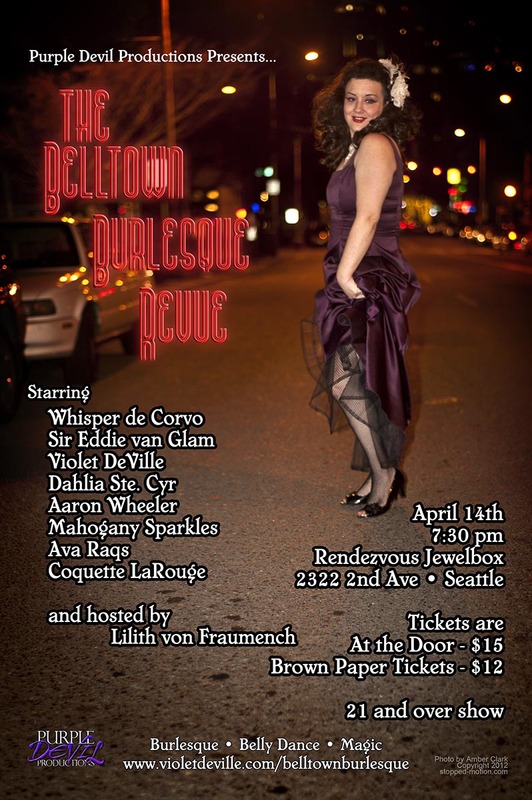 If that weren't enough for you, the very lovely Whisper De Corvo and I will be bringing our fancy lady selves as a compliment to the swinging beats. It'll be a fun and sassy time. DJ Brackenfern will be spinning the swinging tunes for us. This is going to be a fantastic way to wind down a Tuesday night. Can you believe it, February is almost here? It's not a bad start to the year; a relaxed January with only a couple of appearances and into February with three performances in the first week! Thanksgiving day will be here tomorrow, my lovelies. All of the turkey and gravy one could hope for. I know I'm looking forward to it. You know what comes after Thanksgiving day? Yes, its Black Friday when everyone descends on the sales floor hunting for bargains. Personally, I've never been fond of the crowds and the pushing and the shoving that I've seen happen. So I just avoid the market places altogether on that day. Do you want to know what I'll be doing? I'll be performing for your post-shopping revelry. 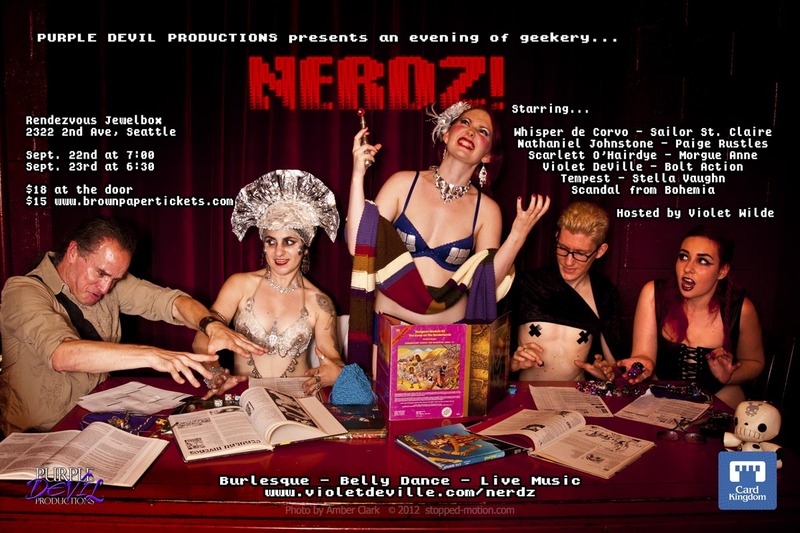 That's right, my dear, I will be dancing the evening of Black Friday away with some amazing people. 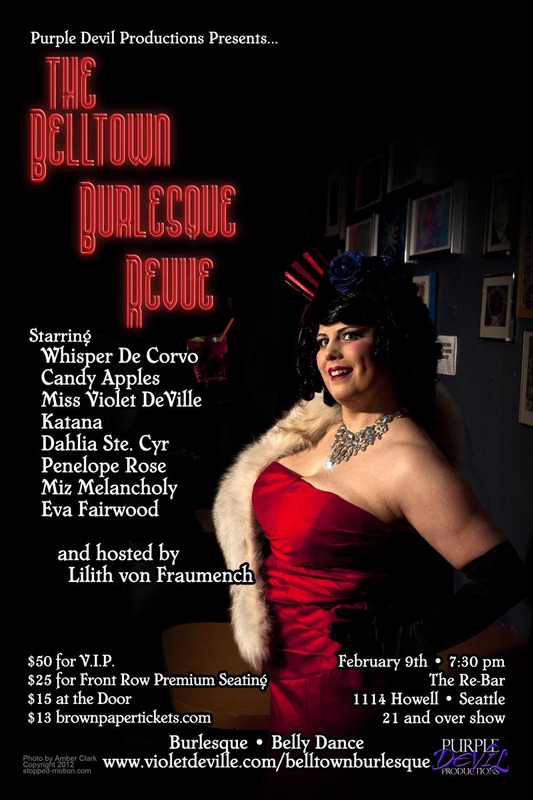 The always lovely Whisper De Corvo presents the Westside Burlesque Revue at the Skylark Cafe and Tavern. 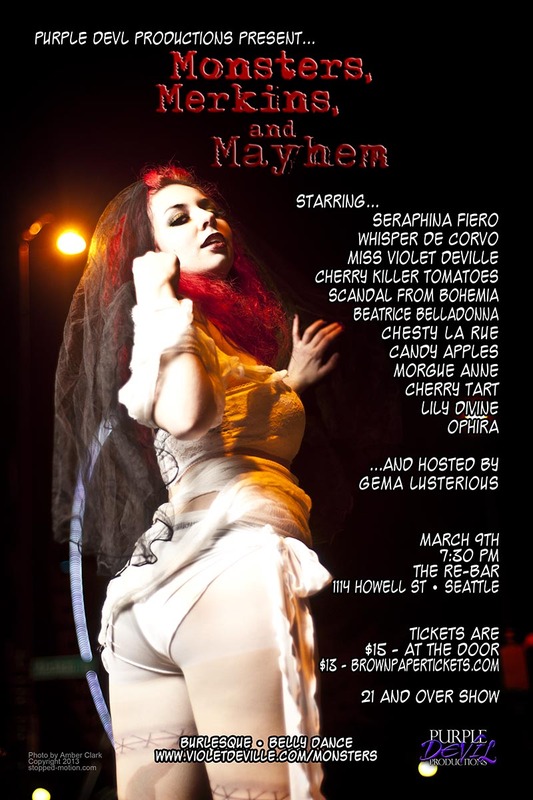 I will be sharing the stage with some absolutely amazing performers including Lotti Glitterati, Whisper De Corvo, Ava Raqs, Dessi Devine, Candy Apples, Ophira, and Betty Fish. Tickets are $7 online and $9 at the door.